What is an access cover? Odour control: ferrous chloride dosing or magnesium hydroxide dosing? Which landfill odour control products should you be using? Why would you use ferrous chloride over safer treatments? Many food and dairy processing plants experience increasing pressure to reduce odours from their facilities. What are magnesium hydroxide dosing units? 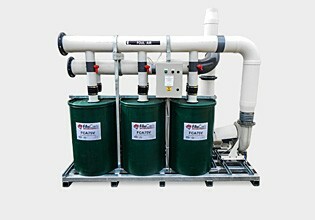 What are Ferrous dosing units? What are Calcium Nitrate Dosing units? What are odour neutralising misting systems? What is surface odour control? What are odour neutralising vapour systems? What are the risks involved in purchasing a cheap chemical dosing system? Introducing ITAlifters. The superior manhole lid-lifters, now in Australia. How do chemical dosing systems work? Chemical Dosing Systems: What is Ferrous Dosing and How Does it Work?